The cuisine of the golden age of the Northern Netherlands is often damned with faint praise: simplistic, restrained and modest. The large, and varied, middle class that made up the bulk of the urban centres of the republic dominated the modes of dining, influenced by Calvinism and liberal humanism. 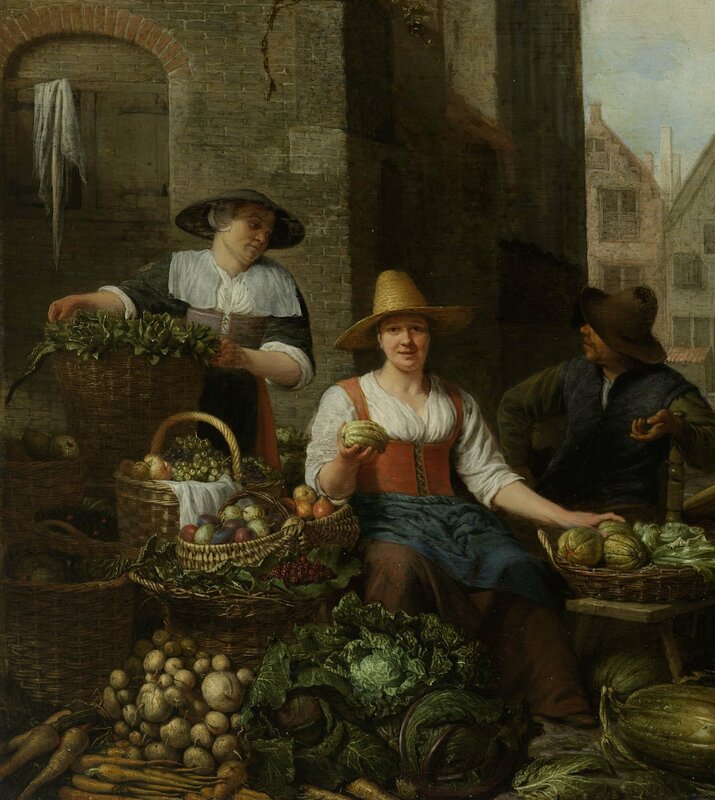 Rather than emulating courtly cuisine, the broadly defined middle class, or brede middenstand, were content with a diet defined by frugality and ample sufficiency. Common staple prepared foods included bread, cheese, milk and butter. 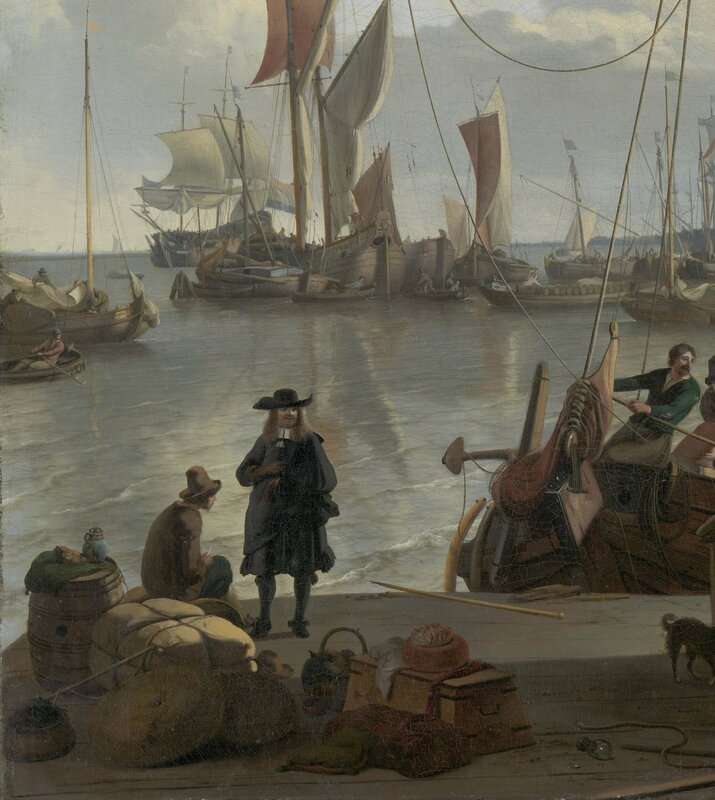 Dutch mariners consumed so much cheese and butter that English sailors called them ‘butter boxes’. Netherlandish food in the period was not always bland and simple – the Christmas season was marked by special celebratory treats. For the arrival of Sinterklaas (Saint Nicholas), speculaas cookies, moulded in the saint’s image, were baked with a customised blend of exotic spices. Trade by the Vereenigde Oostindische Compagnie (VOC), the Dutch East India Company, began in 1602 and brought large quantities of cloves, nutmeg, mace, pepper and ginger to the Netherlands for sale on the Continent. Even though this traffic made spices more affordable, careful control of the supply by the VOC kept prices up, only within the reach of the wealthy, or for use on special occasions. The festive season also brought an increase in the use of sugar, which was readily available, as Amsterdam was the centre of European sugar refining in the early 17th century. Raw sugar purchased from French and English colonies in the West Indies was processed into gleaming white conical sugar ‘loaves’ and transformed into holiday sugar candies for children. A small painting in the exhibition by Frans Post reveals the far less palatable side of the sugar trade – African slaves working the sugar fields in the Dutch colony in Brazil. Sugar refining was a significant industry, but fish bones were the economic backbone of the Northern Netherlands. Herring were caught in specially designed boats that maximised efficiency, allowed fishermen to process the fish at sea, and prolong their voyage. Like a factory afloat, the herring ‘buses’ were set up so fishermen could catch, gut and pack the fish in barrels filled with salt for transport. The normally perishable herring were preserved, ready for long-distance trade. Together with bread and butter, herring made a hearty snack, bringing together the simple, yet substantial, products of the republic on a plate. A festival on October 3rd each year in Leiden commemorates the city’s liberation from a siege by the Spanish with a traditional meal of white bread and herring. In 1574 the Spanish laid siege to the city for five months, and thousands starved to death when provisions ran out. William the Silent, Prince of Orange, led an army to relieve the city. The Spaniards fled in the night, and in the morning, William fed the city a meal of herring and white bread. A young survivor discovered some Spanish leftovers to augment the meal – a hutspot – a hodgepodge of mashed carrots, onions, and meat. Today, both herring and bread, and hutspot, are served to celebrate. Dutch culinary myth says that carrots, first imported from Iran (and originally purple or yellow), were specifically cultivated in the 17th century to be orange for the royal family – but that tale should be taken with a grain of salt. Place the potatoes in a large pot or Dutch oven. Cover with water, then add carrots and onions. Add additional water if necessary, so all the vegetables are just covered with water. Add rookwurst on top. Cover and bring to a boil. Reduce heat to a simmer, and cook until carrots and potatoes are soft enough to mash, about 20 minutes. While the hutspot cooks, fry the speck or bacon in a small amount of oil until golden brown (more fat will render during the process). Reserve bacon and rendered fat. When the vegetables are ready, remove the rookwurst and cover with aluminium foil to keep warm. Drain the vegetables and return them to the pot. Add a small knob of butter, and mash to your desired consistency. Add bacon/speck to mash (add rendered fat if desired). Adjust consistency with milk and/or additional butter so the mash is not too stiff. Add salt to taste, if required (the bacon and butter may be enough), and add ground pepper to taste. Slice rookwurst on the diagonal. Serve on top of the mash. Note: Potatoes only arrived in the Netherlands around 1600, so they wouldn’t have been in the Spaniard’s pot! They are anachronistic, but traditional. Dr Garritt Van Dyk is a Junior Research Fellow, Enlightenment Studies, in the Sydney Intellectual History Network. 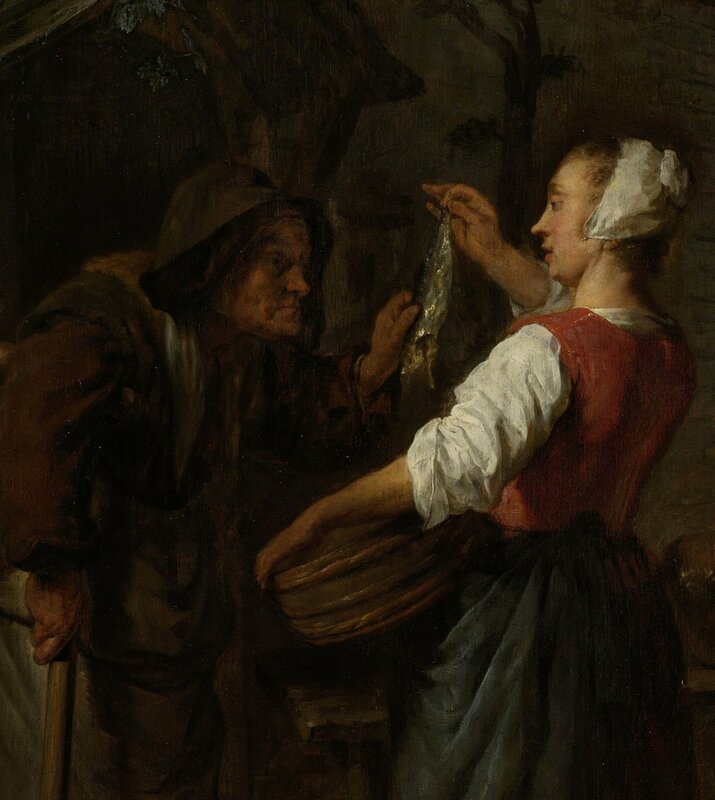 His research explores the relationship between food and identity in early modern Europe. He received the Sophie Coe Prize for Food History at the 2014 Oxford Symposium on Food and Cookery for his research on the role of English consumers in the development of effervescent wine.